The "OCD" is an exceptional 55' Viking that has been constantly updated and maintained by her knowledgeable owner. 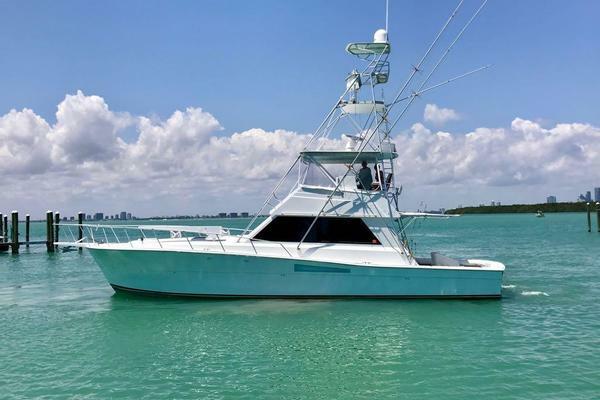 She has had all of her services updated by Scott Marine Power andis equipped to fish competitively, run to the Bahamas, fish the Canyons or just enjoy in her home berth. Don't miss out on this opportunity. 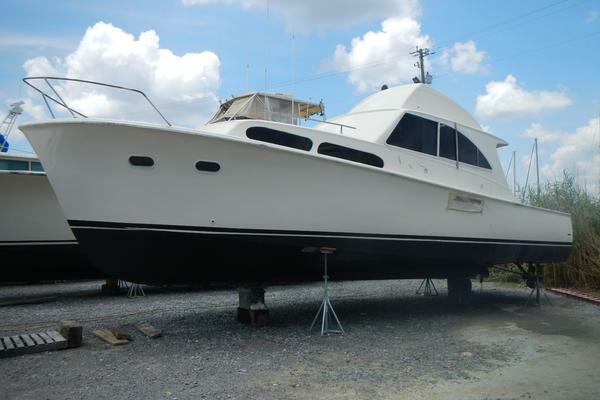 United Yacht Sales New Jersey would love to guide you through a personal showing of this 55' Viking 55 Convertible 2000. 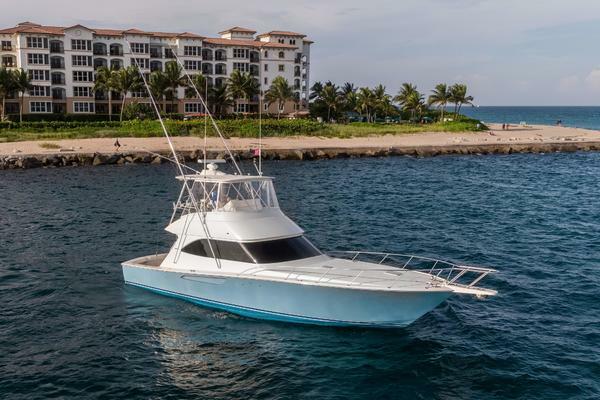 This yacht for sale is located in Key Biscayne, Florida and priced at $649,000. For a showing please contact us by filling out the form on this page and we will get back to you shortly! Features a walk around queen berth, double hanging locker, lighted vanity w/storage drawers, overhead lighting plus 2 reading lamps. Electric head, stall shower, and mirrored overhead headliner in master head. The forward stateroom features the VIP layout with crossing berths. There is a hanging locker, cabinet, and several storage drawers. Also has a mirrored forward bulkhead along with new bed coverings and pillow shams.This stateroom also has private access to the guest head with stall shower and mirrored overhead. The second guest stateroom is located across the companionway from the master suite and features over and under berths, a hanging locker, numerous storage drawers and private access toguesthead which is shared with the forward VIP Stateroom. There are also new bed coverings and AC controls.The washer and dryer are located in the companionway along with the central vacuum outlet at the base of the steps leading up to the salon. The salon features an L-Shaped Settee on the port side with storage below. The entertainment centerand raised electrical panel are across to starboard. The dinette with teak table and pedestalislocated forward on the starboard side and the galley is across on the forward port side of the salon.The entire interior was redone in the summer of '03 including the settee, valance board, carpeting, dinetteandnew bed coverings and shams in '09.There are (2) phone and computer outlets located near the settee and dinette. The interior is warm and rich looking with her new decor package. The galley features the elongated island which houses (4) pull out Sub Zero Refrigeration Drawers and (2) pull out freezer drawers. The galley sole is Amtico Teak. The galley countertops are Corian with mirrored backsplash. There are ample storage lockers and Vikings famous deep pull out storage drawers along with an AC/DC electrical sub panel. There are also (2) bar stools at the galley island for lounging or snacking. The entire boat is wired for computer hook up. There are jacks in all staterooms and 2 in the salon.